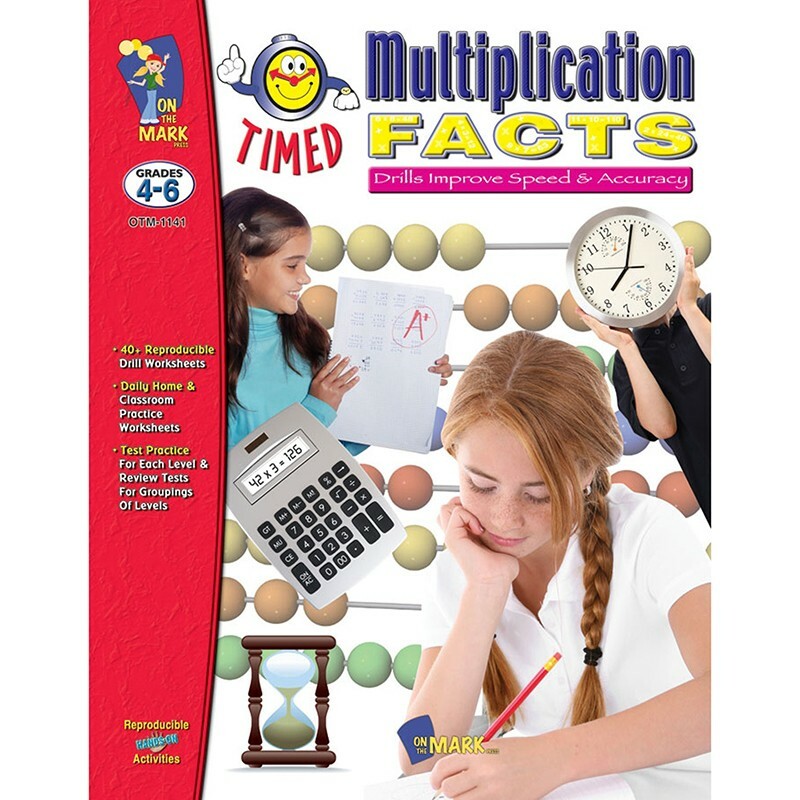 Strengthen students' speed and accuracy on their multiplication facts. Each drill page concentrates on a specific area. In subtraction fact recall, building students' skills as they progress from the easiest level to the most difficult. Each level has a daily practice page, a home practice page, an extra practice page and a review test page. Over 40 reproducible drill worksheets. The extra practice drill sheet is to be used with students still having difficulty recalling facts quickly and accurately. It is a different approach to the timed drill method. This requires the student to complete the fact with its missing number. This different approach helps the students remember the facts more quickly. Supports Common Core Standards for Mathematics Grade 3. 48 pages.